The fruits of the recovery were unevenly distributed. The wealthy landowners of the plateau were building huge estates and developing family histories to go with them. For some reason Chrome thinks your file download site is untrustworthy. Looking over the explanations on Google I find no way within Chrome to get around its refusal to download your last several episodes. Fortunately, there are other browsers and downloading agents. interesting episode, reminded of the parallels to the early senatorial class in the late republic. i do have one question was this ever a problem in the early principate period? I think the parallel with the late Republic makes sense. The Pompeys and Caesars made the armies they recruited loyal to them ahead of the Senate. That’s the danger faced by the government in 900-1100AD. In the early Principate the army was loyal to the Emperor because he paid them. And the aristocracy were slowly becoming less interested in serving in the army. The challenge then was more to stop the army picking their own Emperors which of course became a major problem in the 3rd century. How good were the Byzantines at geography? Did they used maps? And, if one wanted to go from point A to point B, how exactly would he know his itinerary? Also, since Justinian pretty much dissolved the old “Cursus Publicus”, what did the roman postal system looked like at that point? That’s a good question about maps, I’m not sure about that. I don’t remember them being referenced in everyday life. Come back to me at the end of next century if you’re still curious. In general people would follow the established road system. You had to if you wanted to make sure of finding lodgings and supplies. The major roads were maintained and presuambly local paths were fine in good weather. 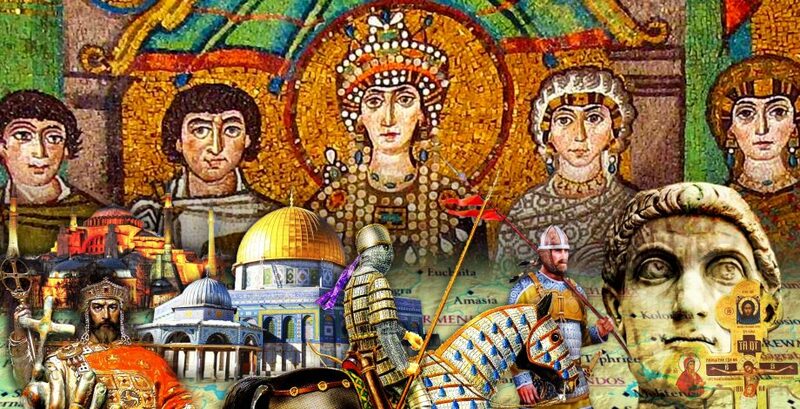 Justinian got rid of the ancilliary routes across Anatolia but left the main military road still serviced. So officials could still get out through the main military camping grounds to Amorium and on to the eastern front in good time.